Small, practical side table. Foldable, desinged for indoor and outdoor use. It was quite challenging to redesign this archetype of a foldable coffee table, which caught our attention in front of a coffee bar in Stuttgart, unchanged for decades. This new and clean design reflects the puristic sense of our principal concept. An optional shelf to on the lower part of the table enables storage of magazines and books. 8 party coloured options, from dark-grey and white to orange and gold. The folding tables are phosphate treated and coated with a special outdoor powder. They are therefore (limited) UV and weather resistant and suitable for outdoor use. 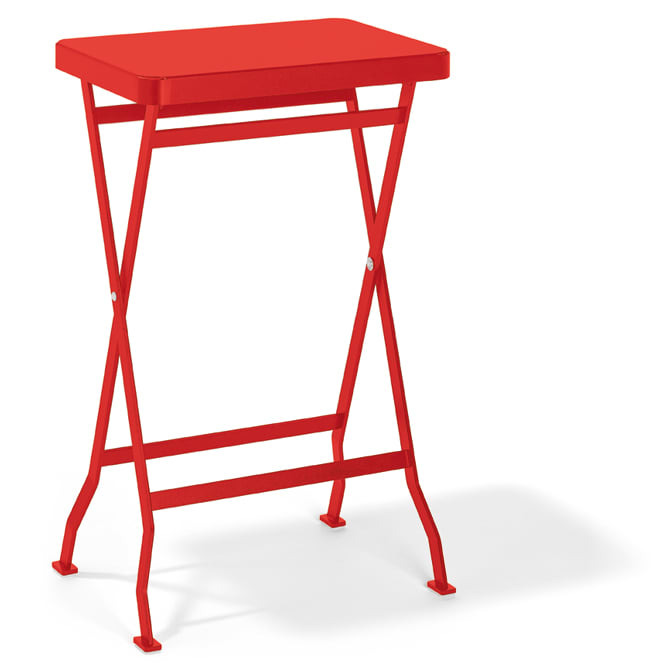 Do you have a question about "Flip (side table)"? How can we contact you?